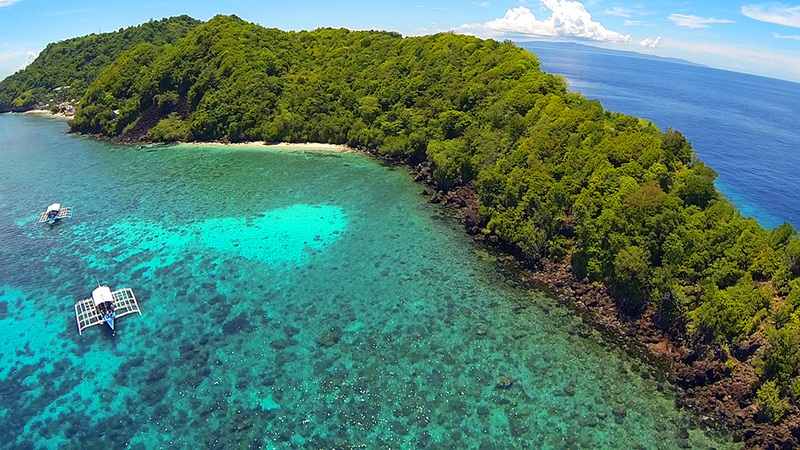 Apo Island is a small paradise, a volcanic island which extends for 74 hectares south of the island of Negros. It's a marvellous place for both the beauty of the island and the kindness of the local people. You can dive and have fun swimming among a large amount of turtles, who are not scared by tourists. The island is not well equipped for tourists and resorts are without running water, the water is supplied with bins from the hotel staff, and electricity works only from 6 P.M. to 10 P.M. (sometimes until midnight). We recommend to spend at least one night on the island, to enjoy it calmly and without the confusion of the tourists arriving during the day.